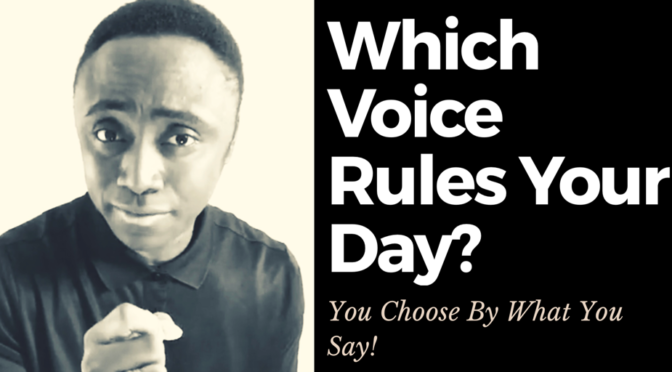 Which Voice Rules Your Day? You choose by what you say. Posted byRev Wildfire December 4, 2018 December 5, 2018 Posted inIntimacy With God, Personal Metamorphosis, Personal Responsibility, Personal SuccessTags: faith in God, the art of living, truth, victory in Christ242 Comments on Which Voice Rules Your Day? Your 20s is the decade of planting. It is a time to pour your energy, talents and resources into the various aspects of your life.The post Certain Things Should Have Happened In Your 20s appeared first on Wildfire Daily. The first two decades is a time of learning. So be careful to apply learning in your walk with God, your family and the world.The post For Those Of Us That Are Under 20 appeared first on Wildfire Daily. Do not allow fear of the unknown to cause you to shy away from marriage. Instead develop yourself to handle whatever challenges that might crop up. The post Develop Yourself; That’s What Matters appeared first on Wildfire Daily. You don’t need to shy away from marriage because of the unknown. What matters most is that you develop the skills needed to navigate the jungle of relationships. The post Your Capacity To Navigate The Jungle Matters More appeared first on Wildfire Daily. Watch It Or You’ll End Up Marrying A Crook! Insincerity and lack of honesty are usually employed by lots of single Christian to mask their unrealistic and materialistic expectations regarding a marriage partner. The post Watch It Or You’ll End Up Marrying A Crook! 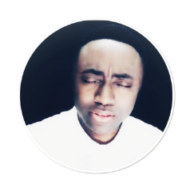 appeared first on Wildfire Daily. Lots of single Christian ladies foolishly desire marriage partners with the romanticism of the world, and also the spirituality of God’s kingdom. The post A Reason Lots Of Christian Ladies Are Still Single appeared first on Wildfire Daily. Insincerity leads to marital delays. Decide what you want regarding the choice of a marriage partner, and take responsibility for the consequences of that choice.The post Insincerity Leads To Marital Delays appeared first on Wildfire Daily. Should You Get Married Or Not? Marriage is of God. To not be married is also of God. Both choices are spiritual. What is more important is to decide on time.The post Should You Get Married Or Not? appeared first on Wildfire Daily. 8. What Is The Best Age For Getting Married? The best time to get married is in your 20s, while you still have the vigor to make a success of your marriage and family. Posted byRev Wildfire November 12, 2013 Posted inPersonal Responsibility, Personal SuccessTags: courage, courage in relationships, Faith, insincerity, living skills, Marriage, Relationships, successful relationships, the art of living1 Comment on 8. What Is The Best Age For Getting Married? Marriage is not a carnal thing; it is spiritual. It will advance your walk with God, and help you to fulfill your assignment on earth. Marriage is not just for companionship; it is for procreation and building a family. God’s intention is that through it mankind will multiply on earth. Be someone who walks in authenticity. Never be embarrassed about what you want, especially as regards your choice of a marriage partner. 4. Is The Church A Hiding Place For Cowards? Take time to develop the skills and strengths required to deal with the challenges, complexities and dangers of life and relationships. To succeed in your pursuits, you need skill in your interactions with other people. Shrewdness is crucial in navigating the jungle of life and relationships. The world, its people and relationships are like a jungle. To succeed in life, you must know how to navigate the jungle of relationships.